For those who like walking - or rather climbing lots and lots of stairs - among citrus groves and orchards, Vettica di Praiano is the place to be. Orange and lemon groves are everywhere in the midst of town (pop. 2,100), palms and flowering shrubs line the winding streets. 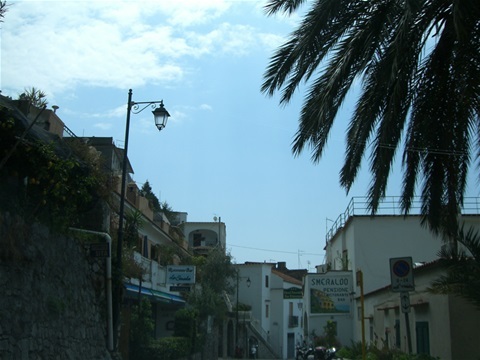 At the times of the Maritime Republic of Amalfi (until 1135), Vettica was the summer residence location of their dogi. Below Praiano there are tiny grey pebbles beaches and quiet coves that look out towards the islands of Li Galli and towards Capri.